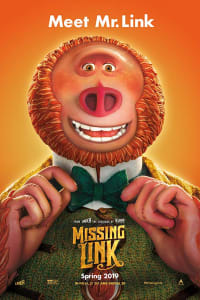 MISSING LINK, opening at AMC today, is the fifth feature from the adventurous stop-motion animation studio LAIKA, which previously made CORALINE, THE BOXTROLLS, and KUBO AND THE TWO STRINGS. The globe-spanning comedy-adventure centers on the furry, eight-foot-tall Mr. Link (voiced by Zach Galifianakis). 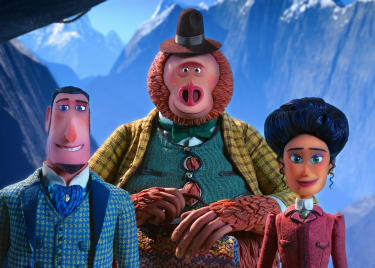 He sets out to track down his relatives in the valley of Shangri-La, abetted by human explorers Sir Lionel Frost (Hugh Jackman) and Adelina Fortnight (Zoe Saldana). AMC spoke exclusively with writer/director Chris Butler, who previously wrote and co-directed LAIKA’s PARANORMAN and co-wrote KUBO AND THE TWO STRINGS. Can you talk about your collaboration with Zach Galifianakis and what he brought to this film? Well, whenever we make one of these movies, we have a wish list of talent. In my head when I’m writing dialogue, I have an actor in mind — whether or not I get them remains to be seen. In this case, I started writing it many years ago. And with this particular script, I ended up getting my wish list. In my head, Hugh Jackman was Sir Lionel, and Zach Galifianakis was, to me, the perfect mix of comedy and vulnerability and a kind of strange naiveté. That was vital to the character, because he’s the emotional anchor of the movie. You need to care about this creature; he can’t just be slapstick pratfalls and silliness. You have to care about what he wants. And that was the great thing about working with Zach — he brings such a nuanced vulnerability to his performance. He is, of course, laugh-out-loud funny, but he provides you so much more than that. I loved what he did with Link — he is great to record with. While we were recording, the way he would change words around or the way he would read one of my lines, I would be in the other room outside the booth rewriting his lines as he was doing them, because I was trying to write them to his voice. You don’t necessarily think of Hugh Jackman as a comic actor. What made you decide he was right for this part? He’s so charismatic, and I think that was important for the character of Sir Lionel. I wanted him to be a hero, and there is no bigger cinematic hero in the world than Hugh Jackman. He also needed to bring charm to a character who doesn’t always do the right thing. I wanted to make sure that you still cared about him and still liked him even when he was acting badly. That’s what Hugh brought that was vital to the character — he is the most charming man you could ever meet in the world. I wanted Sir Lionel to have some of that. And it is a great plus that he’s also very funny, and his English accent is way better than mine. 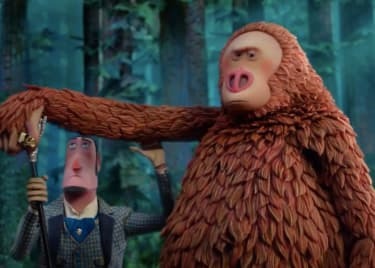 LAIKA films combine stop motion with computer-generated imagery. Do you have some personal rules for achieving the right balance? My personal rule is that I want to use whatever is available to put the best possible image on the screen. If we were stop-motion purists and we did everything in camera and nothing digitally, then we wouldn’t have been able to make this movie. Digital technology and certainly our excellent VFX department have been able to knock down the walls. In stop motion, you’re normally limited by the size of your set and the size of your puppets. But now we’re not. We have a huge amount of set extensions and digital extras, but they’re all informed by the practical reality. 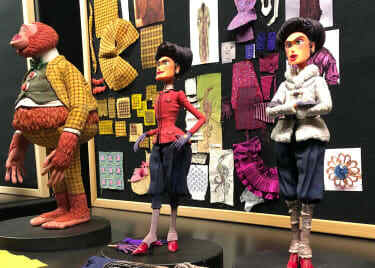 Everything we build in the computer is informed by maquettes or sculpts or swatches of fabric. Everything comes initially from reality, from the practical assets. And that way we can hopefully not see the seams, because that’s what you want in the end. You want the audience to watch this thing and be sucked into this world and completely believe in it. We never want people to say, “Oh, I can tell that’s CG.” You don’t want them to think about how you made it; you just want them to care about the characters and what’s happening. I am by no means a purist. Having said that, I think the reason I love stop motion more than anything is that it is real light on real objects, and you can’t ever really beat that. You can try to and you can do amazing things with the computer, but the imperfection of reality is a wonderful thing. It’s chaotic and it’s random, and it gives you results that you could never make up. That is our cornerstone, and everything is built around that. When people see this movie in theatres, what details should they look for on the big screen? People should look out for, I wouldn’t call them Easter eggs exactly, but there’s always a few little treats in these movies. A big thing for me stylistically in this movie is the density and texture. It’s a rich, colorful, beautiful movie, and within that you’ll see lots of, not necessarily gags, but as an example, in Sir Lionel’s study, he opens a drawer, and in that drawer you will see the monkey statue from KUBO and the fairytale book from PARANORMAN. It’s little things like that. The crew themselves, when they’re making these things, they love that stuff, and I think that they are extra-special treats for the audience. MISSING LINK is playing in AMC theatres now.